As we know education is the back bone for society development. From last two decades Pakistan is enhancing education at Undergraduate, Graduate, Postgraduate (Doctoral Level). In addition, a growing trend of online education reflects a broad plate forms for students, teachers, professionals and educational institutes. Entire Education is incorporating in building a strong relation among students and universities. Our education services pulls through students career perfectly. 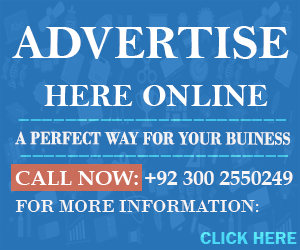 Why Advertise with Entire Education? According to Google analytics Pakistan entire education is the most prominent and prestigious plate form for student and learners. Meanwhile, youth play an important role for the development and advancement of new Enterprises. Entire Education gives a great opportunity to new companies those who forecasting a high position in market. You will streamline your Brand in front of customer’s through various modification. We are attracting most of visitors from Pakistan. A charm of young audience give a fruitful results. Who get Beneficiary Position in Market? Our 90 percent visitors is based on education information and guidance. Therefore, this is most favorable and preferable platform for educational Universities, Academies (for entry test preparations), Cadet Colleges, Accountancy Institutes and Medical Colleges. This is also an effective and efficient platform for FMCG and Multinational Companies. Is best for Telecom Companies? As we know that 80 percent of mobile user in Pakistan are youngsters. Therefore, telecommunication companies are focusing various packages for youngsters. Afterwards, Telecommunication Companies get a delightful results after promotions. 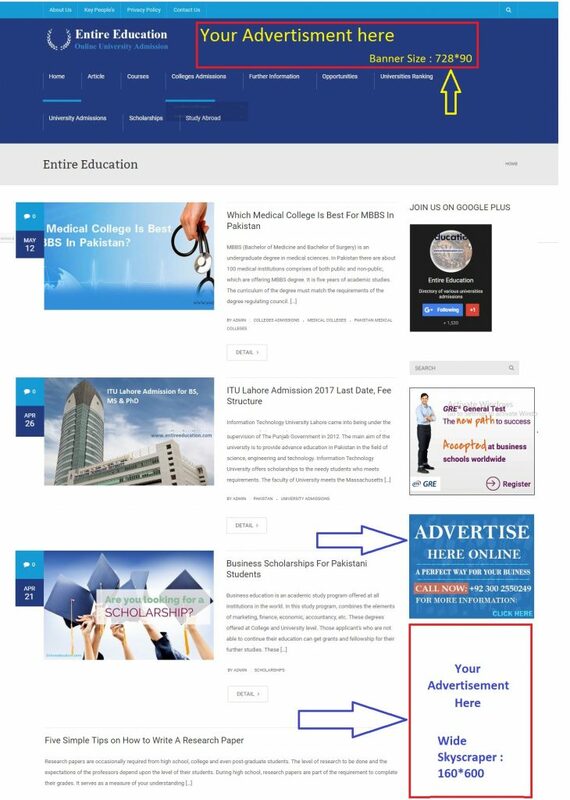 Finally, EntireEducation.com 90% visitors are students those who are seeking educational information and details about universities admission, Scholarships and results. So, it would be a best opportunity for telecommunication Companies to promote its Brand package through Entire Education. If you have any query please write below in comment box, we response your queries with in 24 hours.